Description: Direct Mail Robot is a small, fast and easy-to-use personal bulk email system. It allows you to send personalized emails to your customers, subscribers and friends. You are also be able to manage mailing lists with our handy tool. Description: Very easy to set up and use, E-List Distributor is intended for distributing electronic mail utilizing mailing lists. It helps you deliver your message to large mailing lists and have full control over who gets it and when. It is an indispensable utility for any business that needs to be in contact with it's clients. 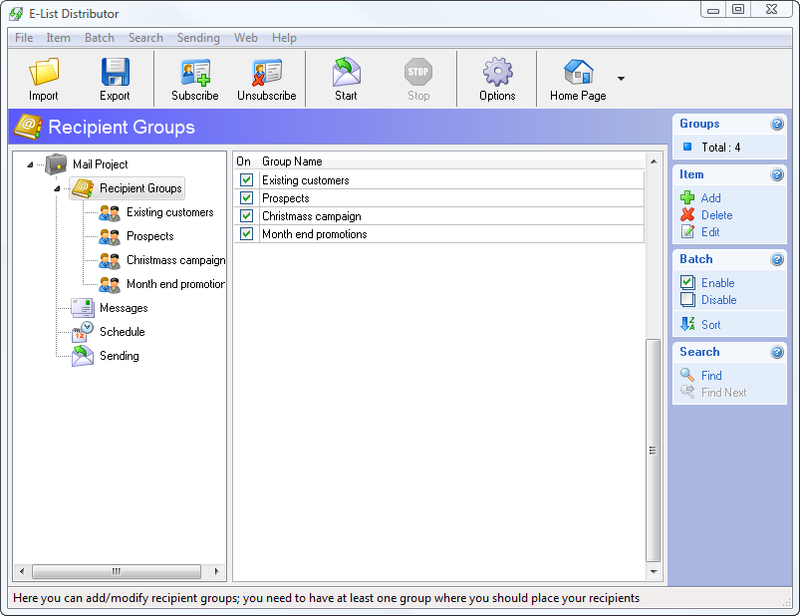 You can manipulate your mailing lists and create unlimited number of groups and recepients in each group. 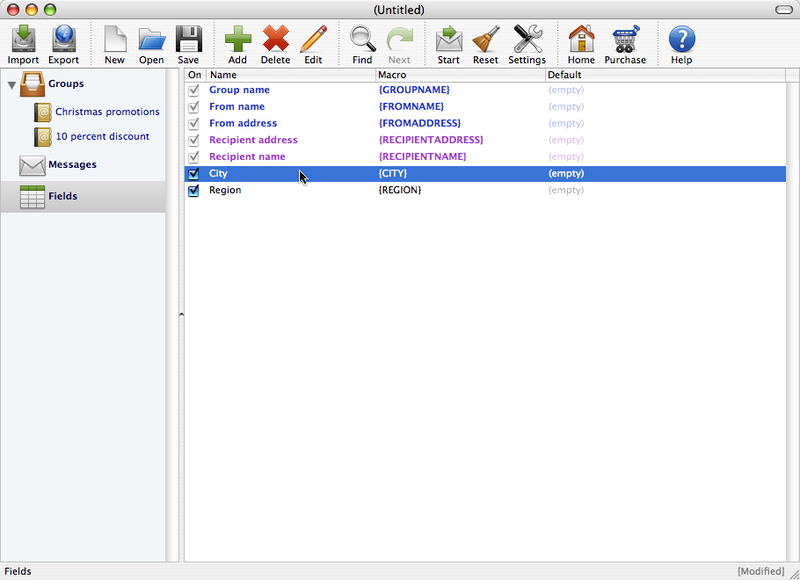 Description: Manage your mass mailing through our easy to set up and use, hassle free software. We let you import, export, manipulate and send to as many emails as you like, spanning any number of mailing lists. We help you process your subscribe, unsubscribe and bounce back emails so you will stay CAN SPAM act compliant. We allow you to customize and personalize each message that leaves our program, so it is intended for that specific recepient. Try it free. 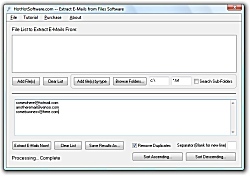 Description: This software extracts e-mails from any number of files that you select. You can choose to automatically remove duplicate e-mails, choose whether or not you want to sort them, and then optionally save them as a file. You can also choose what kind of format to save them in (i.e., .csv file, one per line, or any kind of other delimiter). Description: eMail Bounce Handler is a bounce e-mail filtering and handling tool that recognizes bounce e-mails using a customizable set of rules and extracts the recipients addresses allowing you to use them again to try sending your mail or to take them off your list. eMail Bounce Handler simply connects to your POP or IMAP mailbox in order to retrieve bounces letting any other message untouched. Description: Email Extractor is a powerful and flexible application intended to extract email addresses from various sources. This is an indispensable utility to create targeted email lists using files from your mailbox without any efforts. This fast and easy in usage program extracts valid email addresses without duplicates from such sources as web pages, HTML file, Outlook folders and letters, local file, plain text. Description: eMail Verifier can save time and money for businesses who send newsletters to their clients, nonprofit organizations who send bulletins to their members, or any person or business that needs to maintain a clean e-mail contact list. eMail Verifier is your powerful solution for the standard "message delivery error." Email Verifier verifies every e-mail address from a given mailing list, allowing you to determine 80-90% of "dead" email addresses. Description: Emailing Pro is a free email software for emailing your messages and documents. Extremely advanced management of incorrect email addresses.Benefit from a professional solution. New integrated HTML editor: give free rein to your creativity and put computer capabilities at work with your marketing strategy, not the other way around! The software is available in English, French, German, Spanish, Italian, Dutch, and Portuguese.